NEW YORK, New York, November 19, 2010 (ENS) – Attorneys representing the 10,043 eligible plaintiffs who were injured by exposure to toxics while working in rescue, recovery and debris removal operations at the World Trade Center following the 9/11 terrorist attacks confirmed today that they have met the 95 percent opt-in threshold required in their agreement with the City of New York and its contractors. As a result, the $712.5 million settlement is officially effective, Matthew Garrettson announced today. Garrettson served as the Settlement Allocated Claims Neutral – an independent, neutral third-party agreed upon by plaintiffs’ attorneys and the WTC Captive Insurance Company. He oversaw the process to determine each plaintiff’s illness or injury and each plaintiff’s resulting payment under the settlement. “We are extremely happy to be able to confirm that we have met and, in fact, exceeded the 95 percent threshold set forth in the Settlement Process Agreement with the City of New York and its Contractors,” said Paul Napoli, senior partner of Worby Groner Edelman & Napoli Bern, LLP, who was appointed in 2004 as plaintiffs’ co-liaison counsel in the federal litigation before the Judge Alvin Hellerstein in the United States District Court in lower Manhattan. 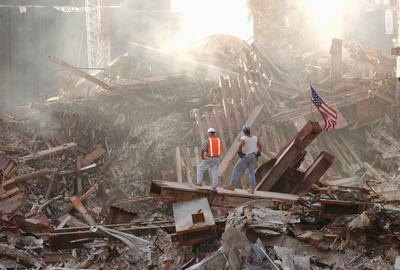 Following the collapse of the World Trade Center towers on September 11, 2001, many people, especially security and rescue personnel, were exposed to a dense cloud of toxic and irritant dust and smoke. In the five months following the attacks, dust from the pulverized buildings continued to fill the air of the World Trade Center site. Medical tests have shown resultant lung disease and cancers in some respondants. Of those most severely injured, the so-called Tier 4 plaintiffs, 5,308 of 5,411, or 98.1 percent opted in to the settlement, attorneys said today. “Now we can move forward and see that our clients, who have suffered far too long without compensation for their serious illnesses and injuries, receive the help and closure they so desperately need,” Napoli said. The original Settlement Process Agreement with the city is worth $625 to $712.5 million, depending on the percentage of overall plaintiffs opting in to the settlement. Napoli said that settlement has been made “sweeter” by a group of additional settlements negotiated with the Port Authority of New York and New Jersey ($47.5 million), two of the three contractors responsible for work performed at the Fresh Kills landfill in Staten Island with WTC debris ($24.3 million), the insurers for the Marine defendants responsible for the barges transporting WTC debris ($28 million), respirator manufacturer Survivair ($4.15 million) and Tishman ($1.4 million). Bill Groner, another senior partner in the Worby firm, echoed Napoli’s satisfaction with the result of the months-long efforts to contact each of their 10,000-plus clients and obtain their executed settlement papers. “We are thrilled to successfully conclude on behalf of the settling plaintiffs what is believed to be one of the most complex mass torts in history arising out of a horrific event that has forever changed our country. Our clients sacrificed their safety and health to come to the urgent need of their fellow citizens, their city and our nation and providing them with compensation for their resulting injuries and suffering is long overdue. We are so happy to finally see the light at the end of the tunnel for these deserving clients,” said Groner. But while the settlement is a step forward, federal lawmakers who authored a bill to provide guaranteed health care and medical monitoring for those exposed to toxins released by the collapse of the World Trade Center towers say the battle is not over yet. U.S. Representatives from New York Carolyn Maloney and Jerrold Nadler, both Democrats, and Peter King, a Republican, authored H.R. 847, the James Zadroga 9/11 Health and Compensation Act, passed by the House in September. In June 2009, the Senate companion measure, S. 1334, was introduced by Senators Kristen Gillibrand and Charles Schumer of New York and Robert Menendez and Frank Lautenberg of New Jersey – all Democrats. It is still pending. Last year, Congressman Jerrold Nadler criticized WTC Captive for spending $103,700,734 on legal fees while paying out only $320,936 in medical claims. On June 10, 2010, the new settlement was announced, giving plaintiffs $712.5 million and reducing payouts to lawyers.